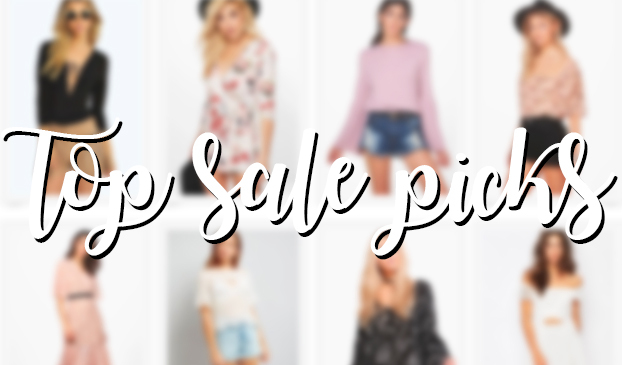 I want to get into fashion a little more over on the blog and so what better way to kick things off than showing you some clothing items I’ve been lusting over in this season’s sale! They’re all highstreet, affordable and super cute. I hope you enjoy this post! Let me know if anything catches your eye! Previous Post MY TOP 10 FAVOURITE HIGH END & HIGH STREET LIPSTICKS! This post is no good for my bank balance, so many nice picks ! I love those watches, they're both lovely! I want that boho black top, that floral romper, lace cardigan, floral shoes… I think I like them all. Thank you for sharing these lovely items!